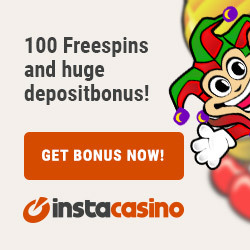 Here at FreePokies.best, we provide you with the latest games and the best free pokies information necessary for your online casino gaming experience. By using this site, you are agreeing to abide by our terms and conditions. You also agree that it is our right to modify these conditions at any time for the best interest of our company and of our gamers with an assurance that ethics and fairness play key roles in this agreement. Free Pokies Best reserve the right to change information on the website without prior notice. Make sure to check this website for updates on a regular basis to remain informed about changes that are being conducted to enhance your gaming experience. Using our services means that you accept that the security of our website from viruses or other destructive internet elements is not guaranteed. Using the website and its content is at your own discretion. You also acknowledge that information and materials found on this website containing inaccuracies or errors are beyond our liability. Using them for your own purpose entails responsibility for you to check the timeliness and accuracy of the information or materials provided on this website. FreePokies.best are not liable for any inaccuracy or errors that may affect you. All materials provided in this website are licensed to us. The website and its content that include, but are not limited to, the information, logos, design, layout, icons, and graphics are all protected under copyright and intellectual property laws. Reproduction or distribution of materials found on this website is strictly prohibited. Upon playing, you agree that you are using our services at your own risk, and you are at least 18 years old. Make sure that you are well-informed about the laws of online gambling within your jurisdiction, including the specified legal age in your constitution. By accepting the terms and conditions, you are agreeing that your failure to comply with these laws is beyond the responsibilities of online casinos and that any lawsuit that would be charged against you is your liability and not ours. While it is our concern to ensure that our gamers are having the best gaming experience, it is not our responsibility to prevent any amount of money from being lost while wagering at online casinos. Your money is your responsibility, and you accept that FreePokies.best will not be liable for any lost amount. We will not be posting all information regarding bonuses on this site. You are responsible for being constantly informed about your eligibility for a bonus by directly contacting the casino. As a condition of using our services, you shall not use your account nor allow other people to use your account to conduct any commercial or criminal activities. You agree that conducting any unlawful or unauthorized activity using your account is strictly prohibited by our services. Any activity or software that may interfere with the operational performance of our services is not allowed. We prohibit the use of any device, spider, robot, or any internet element with similar functions that may disrupt the functionality of our website and of the transactions being carried out by our services. Any activity that may hinder other users from using this website and our services is strictly prohibited. We do not allow users to conduct surveys, promote products or contests, send unsolicited e-mails, or orchestrate any unrelated business that may interfere with other gamers’ experience. Harassing other users by the use of threatening, abusive, defamatory, obscene, libelous, inflammatory, or discriminatory language is considered prohibited and is liable for an offense. Distribution of pornographic material or any material that could encourage criminal behavior shall not be tolerated. Proceeding to the use of Free Pokies Best’ services means that you have read and understood our terms and conditions/disclaimer and that you are entering into an agreement governed by this set of rules.